The Scottish star certainly struggled to contain his own emotions during a press conference which, though moving, was at times also uncomfortable to watch. But the outpouring of warmth for Murray in the hours which followed showed just what a huge transformation he has achieved in his personal image. Read reports from the start of Murray’s career and he was often described as dour, surly, temperamental and brooding. His Scottish patriotism irritated elements of the English press who simply could not forgive him for not being Tim Henman, and there was more than a little antagonism towards him. Fast forward to this week, and he is being (somewhat fancifully) referred to as Britain’s greatest-ever sportsman, a national treasure and a man of dry wit and political integrity. Success helps, of course. As much as we Brits love a plucky loser (step forward Mr Henman) nothing beats actually winning something. But there is more to Murray’s transformation into national favourite than just giving Roger Federer or Novak Djokovic a good walloping every now and again. And there is something for all of us in the reputational business to learn from this. Murray has – throughout his career – remained himself. He has never tried to hide or massage his own personality. He is emotional and allows it to show. He is innately Scottish and has not hidden from the fact, even when it might have been to his advantage in a sport run by middle-class English types of a certain age and political persuasion. He has strong personal beliefs which he is not afraid to air. His support of equal pay for the women’s game and fairly outspoken views on the future of the sport are not necessarily always shared by the tennis establishment. And he has never shied away from giving his all, even though it has ultimately left him a fairly beaten-up 31-year-old who struggles to tie up his own shoes and is in pretty constant discomfort. 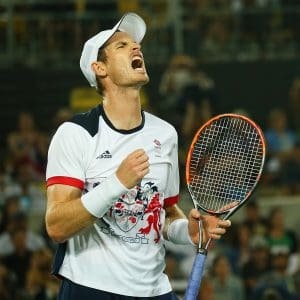 In short Murray – and the sporting brand his name represents – has established a genuine integrity through being consistent. And that’s played a major part in transforming his own personal brand. In a world of shallow populism, self-interest and ruthless ambition, it’s something we can all learn from.